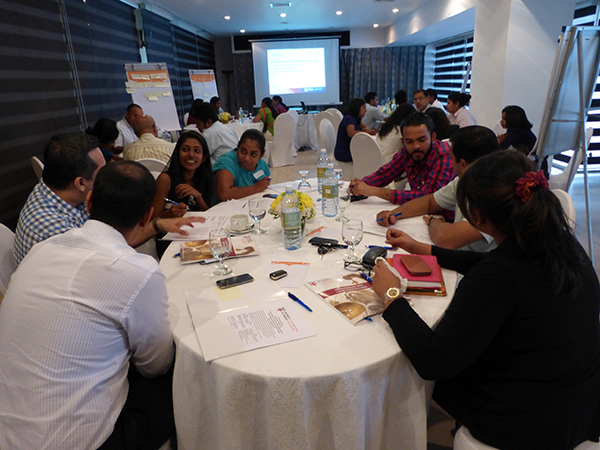 Patricia McKellar was in Sri Lanka at the end of February as there were Graduation events for Royal Institute Colombo and CfPS Law School, Colombo. 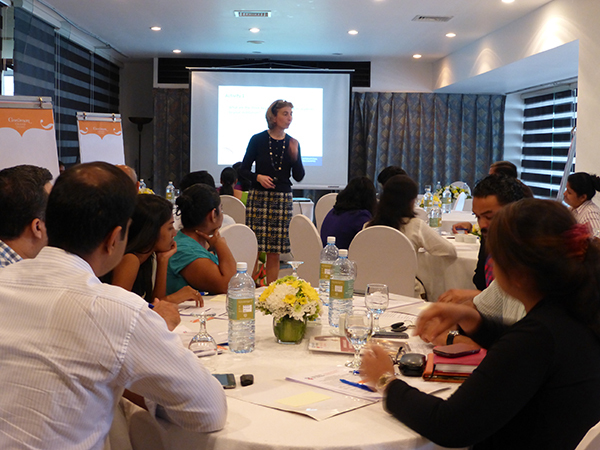 While in the country Patricia also took the opportunity to run a Learning & Teaching workshop for staff at our institutions in Sri Lanka. Over 30 teachers attended a lively and informative morning discussing a range of issues to support student learning under the theme of Adding Value to the Student Learning Experience. Sessions included a student support mapping exercise, consideration of a QAA report on the student experience and integrating activity based learning. As well as Patricia, the presenters included Mr Charles Fernando (CfPS) and Mr Seevali Amitrigala (RIC) who led discussions on how their institutions were developing their practice to include more activity based learning. The University of London Undergraduate Laws Programme is encouraging teachers to use active learning strategies which increases higher order thinking and facilitates deep learning. It also allows our students to take control of their learning and to think about what they are doing rather than just become passive recipients of facts. The last session gave teachers the opportunity to develop a class which employed a range of different learning styles drawing on the examples which had been discussed in the earlier sessions. Debates, role play, film, and group work were a few of the areas promoted. The day closed with an update on the ULP activities drawing attention to some of the developments in the VLE in Criminal Law and CLRI which have introduced a forum to ‘ask the academic’ and a group case study problem.